It has been a year since we mentioned JC's Pie Pops and a saddening three years since I first sampled their four original flavors. I was so very impressed by those pops when I had them and unfortunately I had to deal with the fact that it wasn't something I could easily pick up at the grocery store. Well a lot has changed over the years. 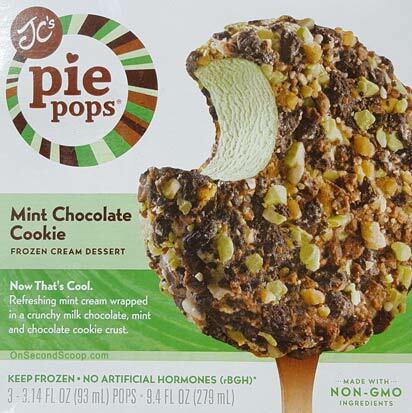 Pie Pops are more readily available, there are more flavors, there is the variety without crumbs, and there is even the truffle version you can find in your grocer's candy section. mint cream wrapped in a crunchy milk chocolate, mint and chocolate cookie crust. Now originally you got two all natural 4.3 oz pops. 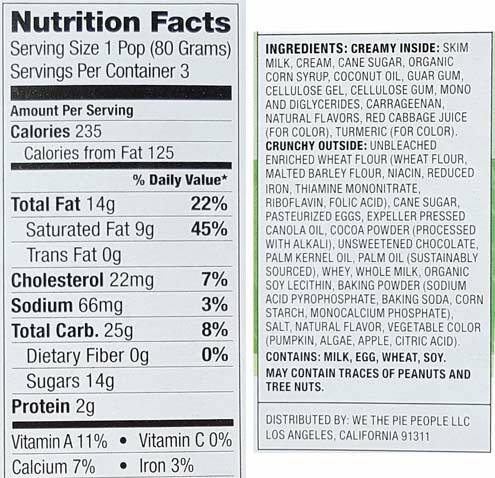 I believe for the 2015 season is when they switched to three 3.14 oz pops per box and the "nothing artificial" tag is gone. Yes, this makes me a little sad but I think I'd rather see JC compromise a little and succeed rather than fade away. Aside from that, it looks like the vanilla cream variety made the transition to the three ounce size before being replaced by the new s'mores flavor (which my store did not have). The other three original flavors are still around. Color coded in case you buy a couple of different flavors. the smaller size means dimensions are a little different. I dive in and this Pie Pop is absolutely delightful. Why have I not be snacking on these regularly? I had kind of spaced out on how much crust there was per bite and I do love me some crust. 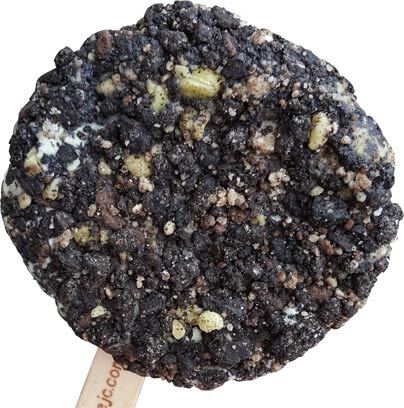 I fondly remember old school pops from my childhood that were covered in crumbs. I get so frustrated by the super slim coating budget brands put on treats now. This is a return to the glory days. The treat is gone and I enjoyed every moment of it's inhalation. 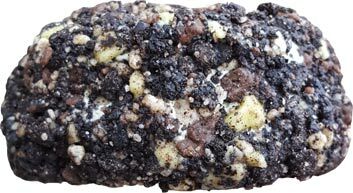 Plenty of mint flavor, so many crumbs, and the occasional larger mint and chocolate bits keep that texture just the much more exciting. So glad I bought this. I'll try to eat the next one slower. 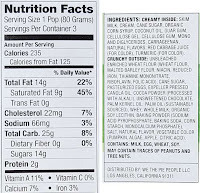 On Second Scoop: Yeah, I inhaled the second one too (and the third one), but it's not completely my fault. 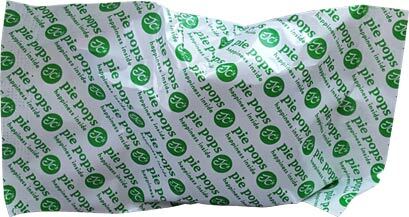 The pie pop's texture allows you to eat it straight from the freezer with no waiting, and you know I hate to wait! If you need a minty treat with a fun texture, this will hit the spot. It's cold, has plenty of mint flavor, and has tons of texture. It's the fun of eating pie but colder and on a stick. They even took the time to make the stick look like a fork. If you've held off on trying these, don't wait, pick the flavor that looks most interesting to you and go for it. Okay, next time I'm at stop and shop I need to check around for these. I LOVE mint! I'm salivating just looking at the pictures. Looks so good! That looks good. Just avoid the truffles at all costs. The truffles is really weird & gritty. Not in a good way. I love the Key Lime Pie!!!! These are revolting. I love anything mint flavored but this tasted like play doh.